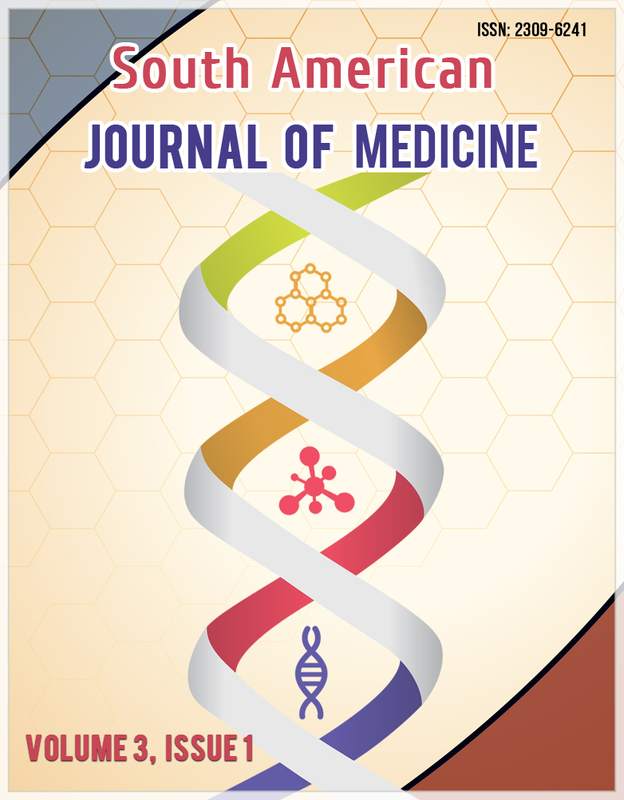 The South American Journal of Medicine is a PEER reviewed scholarly journal of opinion and research in Medicine. Its mission is to give an interdisciplinary forum for discussion and debate about medicine most vital issues. In addition, it covers a wide range of topics of current concern in medicine. 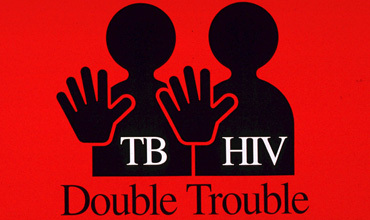 Two Diseases (TB/HIV) and Two Medicines (ATT/ART): One Patient and One Service! This review will evaluate the article titled ‘Integration of Antiretroviral Therapy with Tuberculosis Treatment’ by Salim S. Abdool Karim et al published in ‘The New England Journal of Medicine’. In the process of summarization -- its purpose will be defined, the structure of the article be examined in terms of ease with which any reader can have access to this piece of information. The article will be anatomized based upon its authority, accuracy, currency, relevance, objectivity and stability in that order. The review will also judge the article’s accessibility and credibility. Upon overall assessment the article has been found to be well written, clear and relevant. 2. Bhagyabati DS, Naorem S, Singh TJ, Singh KB, Prasad L, Shantidevi T. HIV and TB Co-infection. Journal, Indian Academy of Clinical Medicine. 2005;6:220. 3. Centers for Disease Control and Prevention (CDC, Atlanta). Trends in tuberculosis -- United States, 2010. MMWR (Morbidity Mortalality Weekly Reports). 2011 Mar 25;60(11):333-7. 4. Dean GL, Edwards SG, Ives NJ, et al. Treatment of tuberculosis in HIV-infected persons in the era of highly active antiretroviral therapy. AIDS. 2002 Jan 4;16(1):75-83. 5. Dheda K, Shean K, Zumla A, et al. Early treatment outcomes and HIV status of patients with extensively drug-resistant tuberculosis in South Africa: a retrospective cohort study. Lancet. 2010 May 22;375(9728):1798-807. 8. Oni T, Burke R, Tsekela R, et al. High prevalence of subclinical tuberculosis in HIV-1-infected persons without advanced immunodeficiency: implications for TB screening. Thorax. 2011 Aug;66(8):669-73. 9. Sharma SK, Mohan A. Co-infection of human immunodeficiency virus (HIV) and tuberculosis: Indian perspective. Indian J Tuberc. 2004;51:5. 10. Severe P, Juste MA, Ambroise A, et al. 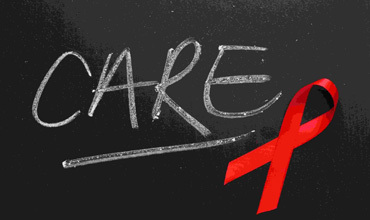 Early versus standard antiretroviral therapy for HIV-infected adults in Haiti. N Engl J Med. 2010 Jul 15;363(3):257-65. 12. Suthar AB, Lawn SD, del Amo J, et al. Antiretroviral therapy for prevention of tuberculosis in adults with HIV: a systematic review and meta-analysis. PLoS Med. 2012 Jul;9(7):e1001270. doi: 10.1371/journal.pmed.1001270. 13. TB India. RNTCP status report. Available from: http://www.tbcindiaorg/pdfs/TB%20India%202010 accessed on Sept 8, 2013 WHO/TB/96.200 (SEA) Geneva: World Health Organization; 1996. World Health Organization. A Clinical Manual for Southeast Asia. 14. U.S. Department of Health and Human Services. 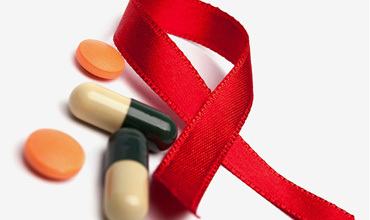 Guidelines for the Use of Antiretroviral Agents in HIV-1-Infected Adults and Adolescents. March 27, 2012. 15. Van Rie A, Menezes C, Scott L, et al. High yield, sensitivity, and specificity of Xpert MTB/RIF for M. tuberculosis detection in fine needle aspirates from HIV-infected TB suspects. In: Program and abstracts of the 18th Conference on Retroviruses and Opportunistic Infections; February 27-March 2, 2011; Boston. Abstract 879. In this article I shall examine the author’s perception about the burden of Emergency Department patient delay and the possible effects of this situation on the patient’s satisfaction. We want to see if the author’s analysis agrees with the existing literature especially as there are newer articles than this. Has the author indicated the advantage of determining the stage at which the delay occurs most? I would also want to determine if the study brought out possible solutions to the identified causes of delay in Emergency Department. I will look at how other researchers see the issue of delay in Emergency Department and the solutions they have proffered, comparing it with what obtains here. I will like to agree with the write up where it is possible otherwise I will disagree with reasons, where I am not convinced. I will try to bring fresh reflections. 1. Andrulis DP, Kellermann A, Hintz EA, Hackman BB, Weslowski VB, Emergency departments and overcrowding in United States Teaching Hospitals. Ann Emerg. Med. 1991; 20(9): 980-6. 5. Estey A, Ness K, Saunders D, Alibhai A, Bear RA. “Understanding the cause of overcrowding in Emergency department in the capital health region in Alberta: a focus group study. 6. Huang Q, Third A, Dreyer JF, Zaric GS. 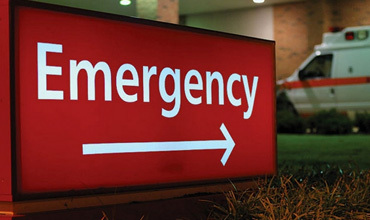 The impact of delays to admission from the emergency department on inpatient outcome. BMC emergency medicine 2010, 10:16. 8. Mohamood A, Khau BA, Khursheed, Khursheed M. “Overcrowded emergency departments: A problem looking for solution. Journal of Pakistan medical association, 2012. 9. Miro O, Sanchez M, Espinosa G, Coll-Vinet B, Bragulat E, Milla J. Analysis of patient flow in emergency department and the effect of an extensive reorganization. Emerg Med J. 2003; 20:143-8. 10. Rehmani R, Emergency section and overcrowding in a University Hospital of Karachi, Pakistan. J Pak Med. 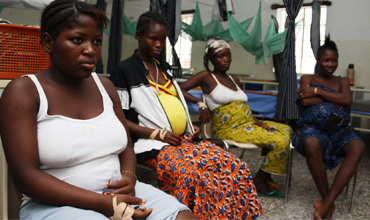 Association 2004: 54(5): 233-7.
Review is a critical analysis of the article “An exploration study of the policy process and early implementation of the free NHS coverage for pregnant women in Ghana published in international Journal for equity in health 2013. In this review of this article following steps were taken. It was summarized, then was analysed for print structure by out. Lastly review did the critical analysis of the article evaluating its authority currency, accuracy, objectivity and coverage Tables & figures were also analysis. 3. Atinga R, Mensah S, Asenso-Boadi F, Adjei F: Migrating from user fees to social health insurance: exploring the prospects and challenges for hospital management. BMC Health Serv Res 2012, 12(174). 4. Countdown to 2015. Building a future for women and children: the 2012 report. Geneva: WHO and UNICEF; 2012. 7. Ghana Statistical Service, Ghana Health Service, ICF Macro: Ghana Demographic and Health Survey 2008: Key Findings. Calverton, Maryland, USA: GSS, GHS, and ICF Macro; 2009. 8. GHS: Ghana Health Service Annual Report 2009. 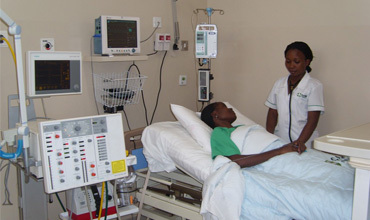 Accra: Ghana Health Service; 2010. 9. Ghana Ministry of Health: Implementation guidelines for financing free delivery through NHIS. Accra: MoH; 2008. 10. Ghana Ministry of Health: National consultative meeting on the reduction of maternal mortality in Ghana: partnership for action - a synthesis report. Accra: MoH; 2008. 12. Meessen B, Hercot D, Noirhomme M, Ridde V, Tibouti A, Tashobya C: Removing user fees in the health sector: a review of policy processes in six sub-Saharan African countries. Health Policy Plan 2011, 2(26):ii16-ii29. 13. NHIS: National Health Insurance Scheme website. Accra: NHIS; 2012. 14. Ridde V, Queuille L, Kafando Y: Capitalisations de politiques publiques d’exemption du paiement des soins en Afrique de l’Ouest. Ouagadougou: CRCHUM/HELP/ECHO; 2012. 15. Ridde V, Richard F, Bicaba A, Queuille L, Conombo G: The national subsidy for deliveries and emergency obstetric care in Burkina Faso. Health Policy Plan 2011, Supplement 2(26):ii30-ii40. 16. Ridde V, Diarra A: A process evaluation of user fees abolition for pregnant women and children under five years in two districts in Niger (West Africa). BMC Health Serv Res 2009. 17. Ridde V, Robert E, Meessen B: A literature review of the disruptive effects of user fee exemption policies on health systems. BMC Publ Health 2012, 12 Community of Practice Financial Access to Health Services: Maternal health exemptions: policy brief. Bamako: CoP FAHS; 2012. 20. Witter S, Arhinful D, Kusi A, Zakariah-Akoto S: The experience of Ghana in implementing a user fee exemption policy to provide free delivery care. Reprod Health Matters 2007, 15(30):1-11. 22. Witter S, Adjei S, Armar-Klemesu M, Graham W: Providing free maternal health care: ten lessons from an evaluation of the national delivery exemption policy in Ghana. Global Health Action 2009. 23. Witter S, Richard F, De Brouwere V: Learning lessons and moving forward: how to reduce financial barriers to obstetric care in low-income contexts. Studies in Health Services Organisation and Policy 2008, 24:277-304. 25. Witter S, Garshong B: Something old or something new? Social health insurance in Ghana. BMC International Health and Human Rights 2009, 9(20). This is the review of the article “Drinking water composition and Incidence of Urinars calculus.’ It is study for pathophysiology of urinary calculus due to electrolytes in water and whether these electrolytes contribute to water quality besides hardness causing the calculus formation. 1. Alapont Perez FM, Galvez Calderon J, Varea Herrero J, Colome Borros G, Olaso Oltra A, Sanchez Bisono JR. [Epidemiology of urinary lithiasis]. Actas Urol Esp. 2001;25:341-9. Spanish. 2. Barker DJ, Donnan SP. Regional variations in the incidence of upper urinary tract stones in England and Wales. Br Med J. 1978;1:67-70. 3. Basiri A, Shakhssalim N, Khoshdel AR, Naghavi M. Regional and seasonal variation in the incidence of urolithiasis in Iran: a place for obsession in case finding and statistical approach. Urol Res. 2009. 4. Bellizzi V, De Nicola L, Minutolo R, et al. Effects of water hardness on urinary risk factors for kidney stones in patients with idiopathic nephrolithiasis. Nephron. 1999;81 Suppl 1:66-70. 5. Caudarella R, Rizzoli E, Buffa A, Bottura A, Stefoni S. Comparative study of the influence of 3 types of mineral water in patients with idiopathic calcium lithiasis. J Urol. 1998;159:658-63. 6. Churchill D, Bryant D, Fodor G, Gault MH. Drinking water hardness and urolithiasis. Ann Intern Med. 1978;88:513-4. 7. Coen G, Sardella D, Barbera G, et al. Urinary composition and lithogenic risk in normal subjects following oligomineral versus bicarbonate-alkaline high calcium mineral water intake. Urol Int. 2001;67:49-53. 8. Desmars JF, Tawashi R. Dissolution and growth of calcium oxalate monohydrate. I. Effect of magnesium and pH. Biochim Biophys Acta. 1973;313:256-67. 9. Ettinger B, Pak CY, Citron JT, Thomas C, Adams-Huet B, Vangessel A. Potassium-magnesium citrate is an effective prophylaxis against recurrent calcium oxalate nephrolithiasis. J Urol. 1997;158:2069-73. 10. Gershoff SN, Prien EL. Effect of daily MgO and vitamin B6 administration to patients with recurring calcium oxalate kidney stones. Am J Clin Nutr. 1967;20:393-9. 11. Johansson G, Backman U, Danielson BG, Fellstrom B, Ljunghall S, Wikstrom B. Biochemical and clinical effects of the prophylactic treatment of renal calcium stones with magnesium hydroxide. J Urol. 1980;124:770-4. 12. Khan SR, Shevock PN, Hackett RL. Magnesium oxide administration and prevention of calcium oxalate nephrolithiasis. J Urol. 1993;149:412-6. 13. Kohri K, Garside J, Blacklock NJ. The role of magnesium in calcium oxalate urolithiasis. Br J Urol. 1988;61:107-15. 14. Kohri K, Kodama M, Ishikawa Y, et al. Magnesium-to- calcium ratio in tap water, and its relationship to geological features and the incidence of calcium-containing urinary stones. J Urol. 1989;142:1272-5. 15. Kohri K, Ishikawa Y, Iguchi M, Kurita T, Okada Y, Yoshida O. Relationship between the incidence infection stones and the magnesium-calcium ratio of tap water. Urol Res. 1993;21:269-72. 16. Li MK, Blacklock NJ, Garside J. Effects of magnesium on calcium oxalate crystallization. J Urol. 1985;133:123-5. 17. Meyer JL, Smith LH. Growth of calcium oxalate crystals. II. Inhibition by natural urinary crystal growth inhibitors. Invest Urol. 1975;13:36-9. 18. Ramello A, Vitale C, Marangella M. Epidemiology of nephrolithiasis. J Nephrol. 2000;13 Suppl 3:S45-50. 19. Reungjui S, Prasongwatana V, Premgamone A, Tosukhowong P, Jirakulsomchok S, Sriboonlue P. Magnesium status of patients with renal stones and its effect on urinary citrate excretion. BJU Int. 2002;90:635-9. 20. Schwartz BF, Bruce J, Leslie S, Stoller ML. Rethinking the role of urinary magnesium in calcium urolithiasis. J Endourol. 2001;15:233-5. 21. Sierakowski R, Finlayson B, Landes R. Stone incidence as related to water hardness in different geographical regions of the United States. Urol Res. 1979;7:157-60. 22. Shuster J, Finlayson B, Scheaffer R, Sierakowski R, Zoltek J, Dzegede S. Water hardness and urinary stone disease. J Urol. 1982;128:422-5. 23. Singh PP, Kiran R. Are we overstressing water quality in urinary stone disease? Int Urol Nephrol. 1993;25:29-36. 24. Sowers MR, Jannausch M, Wood C, Pope SK, Lachance LL, Peterson B. 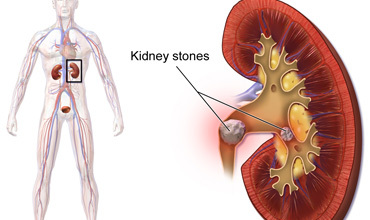 Prevalence of renal stones in a population-based study with dietary calcium, oxalate, and medication exposures. Am J Epidemiol. 1998;147:914-20. 25. Wickham JEA, Buck AC. Renal tract stone: metabolic basis and clinical practice. Edinburgh: Churchill Livingstone; 1990. 26. Water Quality Association [homepage on the internet]. Centralized “water softening” — know the facts [cited 26 Jul, 2008]. Available from: http://www.wqa.org/sitelogic.cfm?ID=1052. 27. Zerwekh JE, Odvina CV, Wuermser LA, Pak CY. Reduction of renal stone risk by potassium-magnesium citrate during 5 weeks of bed rest. J Urol. 2007;177: 2179-84. The introduction of Maraviroc which is a CCR5 antagonists as an antiretroviral drug necessitates the need to study HIV tropism for other HIV 1 subtypes especially those present in other countries in South East Asia and Sub Saharan Africa which accounts for a majority of the burden of the infection. The study under review was undertaken to evaluate HIV-1 co-receptor tropism in the developing world where non-B subtypes predominate, in order to assess the therapeutic and prophylactic potential of CCR5 antagonists in these regions. In this vain, this review aims to highlight the prevalence of R5 and X4-tropic HIV-1 among samples obtained from patients with HIV-1 subtype C infection from India and South Africa, and with subtype A/A1 and D infection from Uganda, and to explore the demographic and clinical characteristics associated with R5 infection. In addition, the review will also highlight the ability of the Trofile® assay to determine tropism of non-B subtypes of HIV-1, which previously had not been explored in a large study. 13. Ranga U. Human immunodeficiency virus-1 subtypes: could genetic diversity translate to differential pathogenesis. J Indian Inst Sci. 2002;15:73–91. Tuberculosis as a disease have been with human for several thousands of years now and earliest evidence of the disease is said to have been found in a Bison dating back 17,000 years. However, the bacillus causing the disease was identified by Robert Koch in 1882. 5. Di Perri G., Cruciani M., Danzi M. C., Luzzati R., De Checchi G., Malena M., Pizzighella S. et al. Nosocomial Epidemic of Active Tuberculosis in HIV Infected Patients. Lancet. 1989;2:1502–4. 7. Gerald L. Mandell, John E. Bennett, Raphael (2010). Mandell, Douglas, and Bennett's principles and practice of infectious diseases (7th ed.). Philadelphia, PA: Churchill Livingstone/Elsevier. pp. Chapter 250. ISBN 978-0-443-06839-3. 12. Rieder, H. L. 1999. Tuberculosis Epidemiology. 1st ed. Paris: IUATLD. 15. Spence DP, Hotchkiss J, Williams CSD, Davies PD. 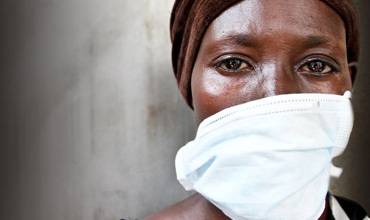 Tuberculosis and poverty. BMJ. 1993;307:759–61. 16. Styblo, K. 1991. Epidemiology of Tuberculosis. Selected Papers. Vol. 24. The Hague: Royal Netherlands Tuberculosis Association KNCV. 18. World Health Organization Global tuberculosis control 2009: epidemiology, strategy, financing: WHO report 2009. Geneva: World Health Organization; 2009. p. 303. (WHO/HTM/TB/2009.411). This review will assess the article titled ‘Achieving a cure for HIV infection: do we have reasons to be optimistic’ written by Valentin Le Douce, et al published in ‘The Journal of Antimicrobial Chemotherapy’. In the process of portrayal -- its purpose will be defined, the structure of the article be examined in terms of serenity with which any reader can have access to this piece of information. The article will be dissected based upon its authority, accuracy, currency, relevance, objectivity and stability in that order. The review will also delve into the article’s accessibility and credibility. Upon over all appraisal the article has been found to be well penned -- clear and pertinent. 2. Allers, K. and others. Evidence for the cure of HIV infection by CCR5-delta-32/delta-32 stem cell transplantation. Blood 117(10):2791–99. March 10, 2011. 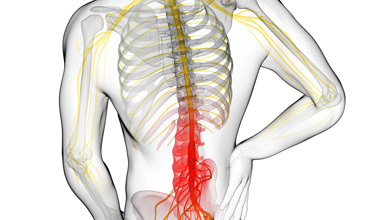 Chronic low back pain is prevalent in the western world. Lumbar radiculopathy is a common presentation in physical therapy daily practice.4 Large epidemiological studies show that: “20 to 30% of patients with chronic back pain suffer from a neuropathic pain component”.4,7 Its diagnosis and management remain an enigma. There is no conclusive evidence for the long-term efficacy of spinal manipulation for any type of low back pain.3 There is no evidence that describes the efficacy of vertical oscillatory pressure (VOP) in the management of pain resulting from lumbar radiculopathy either. The few articles that report the effect of VOP did not quantify the intensity (grading) of the applied thrust to the spine.3 This case report describes and observe the result of applying a submaximal and maximal central posterior-anterior thrust (grade 3 and 4) vertical oscillatory pressure to the lumbar spine in a 32-year-old female with lumbar radiculopathy. In his prospective study, Onuwe observed a statistically significant difference in pain perception before and after vertebral mobilization.13 The purpose of this case report was to describe and observe the result of VOP in pain management of a 32-year-old female with lumbar radiculopathy. 1. Boonstra AM, Schiphorst Preuper HR, Reneman MF, Posthumus JB, Stewart RE. Reliability and validity of the visual analog scale for disability in patients with chronic musculoskeletal pain. Int J Rehabil Res. 2008; 31(2): 165-9. http://www.ncbi.nlm.nih.gov/pubmed/1846793. Accessed November 19, 2012. 2. Briggs DR. The Straight Leg Raise Test. Dynamic Chiropractic. 2012; 30(23). http://www.dynamicchiropractic.com/mpacms. Accessed November 2, 2012. 4. Colloca CJ, Keller TS, Gunzburg R. Biomechanical and neurophysiological responses to spinal manipulation in patients with lumbar radiculopathy. Journal of Manipulation and Physiological Therapeutics. 2004; 27(1);1-15. Doi: 10.101b/j.jmpt.2003.11.021. 5. Cox JM, Davison A. The visual analog scale as a tool for self-reporting of subjective phenomena in the medical radiation sciences. Education Today. 2012; 12(3). http://www.minniscomms.com.au/educationto. Accessed October 30, 2012. 7. Freynhagen R, Baron R. The evaluation of neuropathic components in low back pain. Current Pain and Headache Reports. 2009;13(3): 185-190. Doi: 10.1007/s11916-009-0032-y. 8. Goodman CC, Synder TEK. Differential Diagnosis for Physical Therapists: Screening for Referral. St. Louis, Missouri: Sanders Elsevier, 2007. 9. Hall SJ. Fundamentals of Maitland Mobilizations. Morphopedics. http://morphopedics.wikidot.com/fundamentals. Accessed September 30, 2012. 10. Leininger B, Bronfort G, Evans R, Reiter T. Spinal manipulation or mobilization for radiculopathy: a systematic review. Phys Med Rehabil Clin N Am. 2011; 22(1); 105-25. http://www.ncbi.nlm-nih.gov/pubmed/2129214. Epubished 30 December 2010. Accessed November 30 2012. 11. Maitland GD. Maitland’s Vertebral Manipulation. 7th ed. Philadelphia, PA: Elsevier; 2005. 12. Moore KL, Dally AF. Clinically Oriented Anatomy. 5TH edition. Baltimore: Lippincolt Williams & Wilkins; 2006. 13. Onuwe HAK. Relative therapeutic efficiency of vertebrae mobilization technique in the management of mechanical low back pain. Journal of Medicine in the Tropics. 2004: 6(2). 14. Oswestry Disability Index: Version 2.0. http://www.chirogeek.com/001_oswestry_20.htm. Accessed September 21, 2012. 15. Rabin A, gerszten PC, Karausky P, Bunker CH, Potter DM, Welch WC. The sensitivity of the seated staright-leg raise test compared with the supine straight-leg raise test in patients presenting with magnetic resonance imaging evidence of lumbar nerve root compression. Arch Phys Med Rehabil. 2007; 88(7):840-3. http://www.ncbi.nlm.nih.gov/pubmed/1760146. Accessed October 25, 2012. 16. Rehab Students. Straight Leg Raise (SLR) Test. http://videos.rehabstudents.com/straight-leg-ra. Updated April 10, 2010. Accessed November 10, 2012. 17. Sheffinger MA, Najim WI, Mishra SI. Reliability of Spinal Palpation for Diagnosis of Back and Neck Pain: A Systematic Review of the Literature. Spine. 2004; 29(19): 413-425. http://www.westrenupatientcarecenter.com/bin/. Accessed November 3, 2012. 18. Sipila VP. The Rationale for Joint Mobilization as a Manual Technique. http://www.orthosportonline.com/veli-s-Corne. Accessed November 19, 2012.